Government’s earlier order on Superannuation did not include any such provision for dentists. New Delhi: Senior Dental Doctors and Specialists with the GOI have taken up matters of age of superannuation with the Union Minister of State (independent charge) for Development of North Eastern Region (DoNER), MoS PMO, Personnel, Public Grievances, Pensions, Atomic Energy and Space, Dr Jitendra Singh. Dr H. P. Singh, President, Central Government Dental Doctors’ Association led who led the delegation, handed over a memorandum to Dr Jitendra Singh. The memorandum pointed out that whereas the Central Government, vide its order dated 31.05.2016, raised the superannuation age of Non-teaching specialists sub-cadre, public health sub-cadre, GDMO sub-cadre of CHS to 65 years, the same rule somehow, did not become applicable to Dental Doctors working in Central Government. This has led to feeling of discrimination and grievance among the Central Government Dental Doctors, the memorandum stated. The memorandum also brought to light the fact that out of the 34 sanctioned posts of Dental Doctors all over India, under the Ministry of Health and Family Welfare, only 24 posts were filled and occupied. 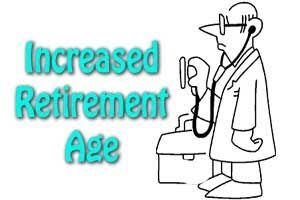 In other words, the grievance related to enhancement of retirement age to 65 years to be made at par with other doctors of the Central Health Services, was only limited to 24 doctors of dental speciality, currently employed with the Central Government. The delegation pointed out that they had highlighted their grievance to the Ministry of Health and were now raising it with Jitendra Singh. Dr. Jitendra after giving the delegation a patient ear, said that he would take up the matter with the Ministry of Health. Besides President Dr. H.P. Singh, other members of the delegation included Dr. Gautam Khatak, Dr. D. Kabi, Dr. Rahul Minotra, Dr. M. Vasu, Dr. Meenakshi Panda and Dr. Nishtha Ramawat.